“I have never felt so Catholic” | Walk with us! As Catholics, we want a God who has skin, a God we can touch. This is the meaning of the Incarnation – God made flesh. I want to share the experience with you. I won’t use a travelogue form, as I’m afraid that would become quite long and boring. I will tell you about what happened to me as I joined 27 other pilgrims for 14 days in this special place. I had never met any of these people before, but since they all came from parishes in the Detroit area, we did have something in common. We got along very well, no one got sick (a first according to our guide), the food was excellent and the entire trip went without a hitch. People ask if I felt afraid because of the political tensions and the possibility of violence. I didn’t. I guess I have traveled enough, and seen 18-year-old soldiers strolling around with high caliber machine guns over their shoulders, that I didn’t feel worse walking the streets of Jerusalem than walking the streets of Chicago. Much more bothersome were the vendors who came up by the dozens at every stop, selling just about every type of article you could imagine. They were polite, but very insistent. Once a young man, having caught my eye, stepped up and tied a kaffir on my head so I looked like Yasser Arafat. I took it off and tried to give it back to him, but he stepped back and absolutely refused to take it. So I walked away, trying to figure out what to do. As far as I can understand from his culture he had given me a gift, so it would be insulting to return it to him. I was obliged to give him a gift in return. So when we came back out, I spotted him, gave him ten dollars, and asked him to tie it on my head again. I figured he earned it just by his chutzpah. Only once during the entire trip did we see someone begging – an old woman in black sitting on the ground outside the old city gates. Either they keep the beggars far away from the tourists, or else people find ways to survive and feed their families. 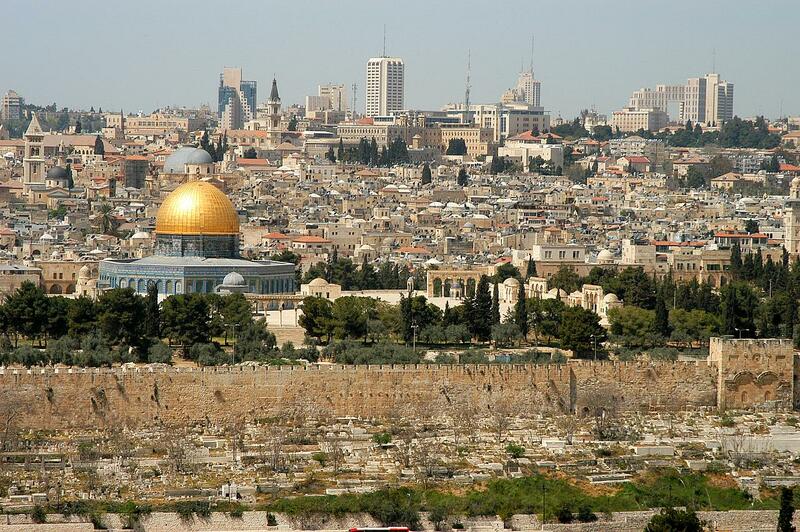 I was completely overwhelmed by the churches, especially in the Old City of Jerusalem – the history and the people. In my travels, I have seen churches that are 400 and 500 years old. In Jerusalem, those would be modern churches, built upon the ruins of churches 800 years old, which were built upon the ruins of churches 1,600 years old, built on top of Roman temples which were built to try to obliterate the traces of Christianity in 165 AD. Somehow I had expected a Christian Disneyland, like colonial Williamsburg, in which everything would appear just as it did in Jesus’ day. Instead, we walked down into the basements of the present churches to see the earlier places where people have worshipped for thousands of years on the same spot. Each generation has left its mark behind. At first I was startled to see 20th century artwork in these old buildings, alongside statues and pictures and mosaics from previous generations. But I realized that we are simply one more generation, one more century, coming to these holy places and leaving our marks behind. I have never felt more Catholic in my life. A Protestant would probably feel the connection to Jesus through the Bible, which he or she believes has come down, unchanged, untouched by human hands for 2000 years. We Catholics feel the connection through our bodies, which touch the same stones worn smooth by millions of others who have touched them through the centuries, who bring rosaries, cards, images, statues, to touch the holy places and be blessed and shared with family and friends. We gaze upon images which (as I mentioned above) present the understandings of Jesus, the church, and the holy places as they have evolved over the centuries in many different cultures. And as I stand in this history, it feels like a tree with roots planted in tradition, adding growth rings every year (some thick, some thin and dried, some rings marking fires or lightning strikes or torn off branches) and reaching to the sky, thousands of pilgrims from all over the world are flooding into these holy spaces – each group with a guide, each one with special hats, or shirts, or scarves or flags, to keep together and not get lost in the crowd, each one speaking their own language, all thirsting for the holy. Each group, like a tiny piece of a mosaic, adding bit by bit to the grand, multicolored, diverse, growing Body of Christ. We were in the Cenacle, the upper room, when a group came in from Russia and started charismatic prayer in tongues. Just when we thought they were as loud as they could get, they got still louder. That’s Pentecost! The numbers of people from India amazed me. It seemed that every Catholic in India was there that week. As much as I have traveled, I never felt the universality of the Church so strongly as that week. I have been to Rome, I have seen crowds of people, but Rome seems to herd people in, and hold them together, and have them focus on celebrating the same way together. In the Holy Land, people are free to express their personal devotion and come and go as long as they want. So I came, expecting to walk in the footsteps of Jesus, and discovered that millions of people over thousands of years were all walking alongside me – and that is the church, in all its humanity and its divinity. Quite a gift to bring back home. The most moving experience was the opportunity to celebrate the Eucharist inside the Holy Sepulcher – also known as the Chapel of the Resurrection. I truly felt time stand still as I thought, “This is it. This is the place where it happened.” As members of the group came forward one by one to reverence the stone, I could feel huge burdens being brought and placed on it, and people rising up with new life and new hope. That is an experience I will never forget. Father Tim you transported me to Jerusalem with you. Very nice. It was very moving. Hello from the Sonnemanns in Mississippi. PS You are looking very well. I am gratified to see that the priest who baptised me and served as a true example of our faith’s calling to me got to realise this sacred dream. 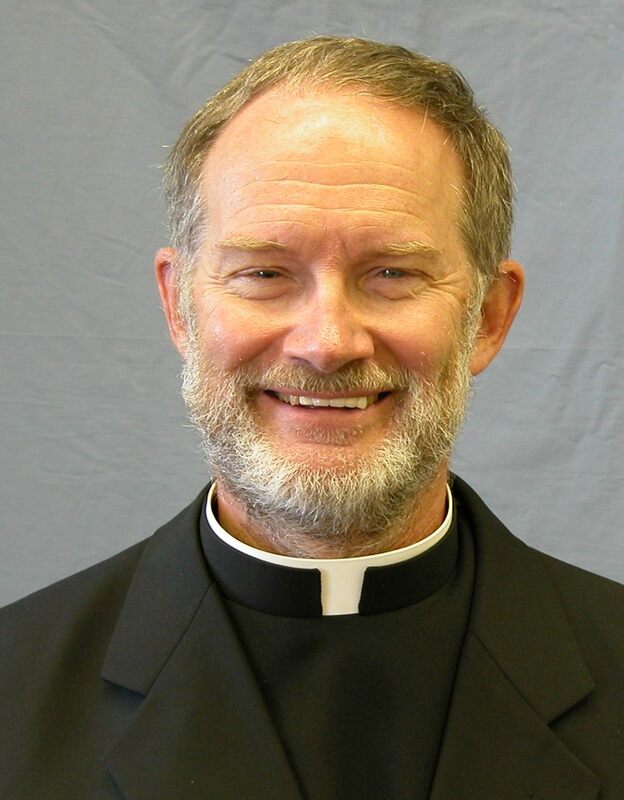 God be with you, Father Tim – I miss you and appreciate you for all you’ve done for my family and this parish in Southaven, Mississippi. I travel for a living and get to enjoy so many experiences that travel brings. One of my joys in traveling is worshipping with other Christians in other cultures. What impresses me most is the universality of the Church whether in Hong Kong or Singapore or wherever we celebrate the one Mass. Your visit speaks of this also. Thanks for sharing!